Due to these marketing strategies, puppy buyers often think that the Cream Colored Golden Retriever is a separate breed. There’s only one Golden Retriever breed. The Golden Retriever Club of America has stated that the cream color has always been included in the spectrum of their breed. 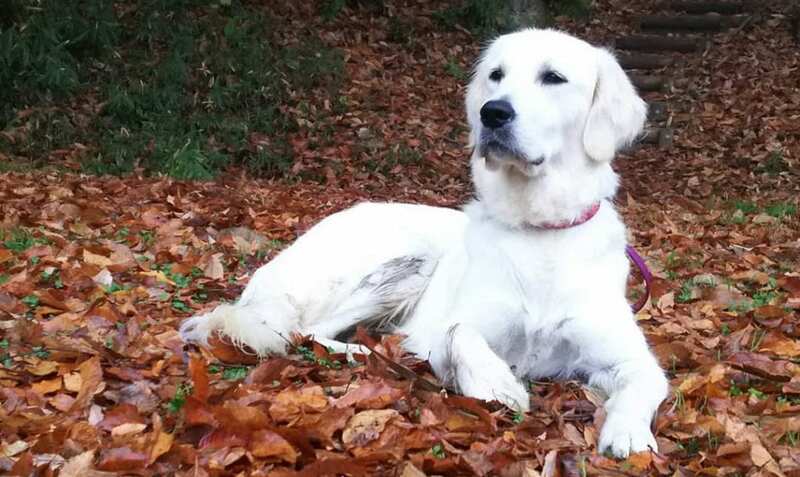 Are English Cream Golden Retrievers Hypoallergenic? How Much Does an English Cream Golden Retriever Cost? Is English Cream Golden Retriever easy to train? The English Cream Golden Retriever was first bred in North America. The ancestors of this breed Golden Retrievers from different locations like Scandinavia, Australia, and New Zealand. The American Kennel Club doesn’t accept the cream colored Golden Retrievers as this breed does not fit AKC’s three coat color standards of light golden, dark golden and golden. On the other hand, the UK Kennel Club recognized the English Cream Golden Retriever since 1936. Owners and breeders are attracted to the lighter coat color of the English Cream Golden Retriever. The UK Kennel Club and American Kennel Club maintain strict standards for show dogs. Dog shows outside of the US recognize the English Cream Golden Retriever. This is why this breed is more common outside of the US and why the UK Kennel Club accepts the cream color as a shade. The color of the coat doesn’t distract judges from the characteristics of the dogs being assessed. English Cream Golden Retrievers maintain their puppy behavior into adulthood as they mature slowly. They are playful, outgoing, enthusiastic, intelligent, friendly and extremely devoted. The loving character, intelligence, and loyalty of this breed make them a good family dog. English Cream Golden Retrievers are excellent hunting companions due to their worker sensibility and calm demeanor. This is why they’re categorized in the gundog group. English Cream Golden Retrievers also serve as search and rescue, therapy, guide and service dogs. They’re likewise comfortable indoors, provided that they get many exercises. However, they are not the best guard dogs because they immediately befriend strangers. How long do English Cream Golden Retrievers live? The life expectancy of English Cream Golden Retrievers is 10 to 12 years. Due to the long coat of English Cream Golden Retrievers, they need to be brushed often to protect them from tangles and mats. They tend to get dirty as well, so these dogs require regular baths to keep their coat clean. The English Cream Golden Retriever is a medium to the large-sized dog when fully grown. A male dog ranges between 22″ and 24″ in height. A female ranges between 20″ and 22″ in height. This breed has a blockier and broader head than the American Golden Retriever. English Cream Golden Retrievers can weigh between 55 and 75 pounds. The main defining characteristic of this breed is its light-colored coat. It also has a thick, feathery tail and slightly arched broadhead without prominent occipital or frontal bones. 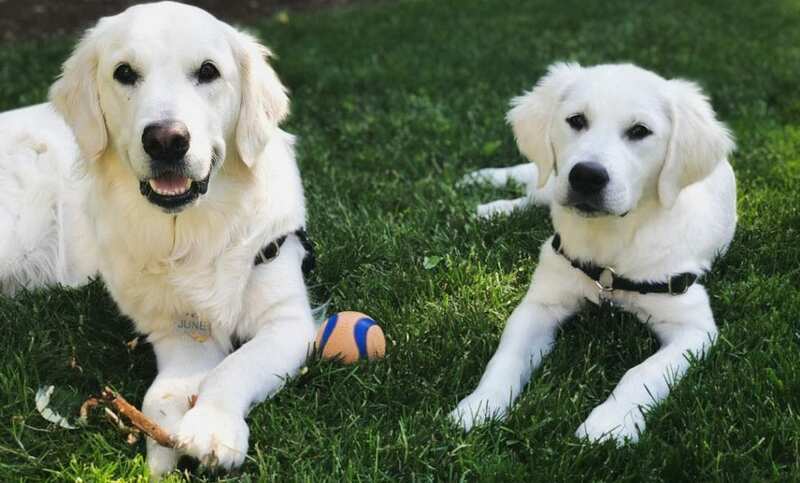 English Cream Golden Retrievers have a powerful, symmetrical, strong, and balanced build as well as a gentle, soft mouth that can carry eggs and game without damaging the item. They are also alert and confident. This breed has soft expressions and kind eyes. Do English Cream Golden Retrievers, Shed? English Cream Golden Retrievers have less hair. Thus you can expect less hair around your home. Golden Retrievers shed heavily during spring and fall and moderately in summer and winter. Brushing their coat at least twice a week will help remove any dead hair that could end up on the floor. It’s important to keep the dog mat-free because skin problems can occur under the matted hair. You can use a steel comb when there’s massive shedding. The medium-length coat of English Cream Golden Retrievers should be groomed every week as they shed often. This breed sheds its thick coat heavily once or twice a year, so brushing every day will help. Giving your dog the occasional bath will also make it easier to brush their coat. This breed can also struggle with its weight if not properly fed, so you should watch your dog’s food consumption closely. Don’t shave your English Cream Golden Retriever. Their coat protects them in any weather, and the only spots that require grooming are the feet, tail and inside and outer part of the ears. You can use grooming shears trim the hair around their pads. The look you’re aiming for is similar to a cat’s paw. Keep the hair on the inside of the ears thin using regular grooming shears and thinning shears. You should also keep the hair along the edges and outer part of the ears neat. This breed can get ear infections if they’re not cleaned on a regular basis. Clean your dog’s ears every week using a high-quality ear cleansing solution. Don’t forget to trim their nails on a regular basis using a pair of dog nail clippers. Long nails are uncomfortable for them and can compromise the shape of their foot as well as cause it to play. Don’t cut their nails too close to the quick. If you clip them fast, you should apply some styptic powder to the affected spot to stop the bleeding immediately. You can trim their nails every week to remove small amounts every time. It’s also essential to groom their tail. Make it look like a fan by twisting the end and putting your thumb below the end of their tailbone. You can start trimming the end near your thumb and work from there, carefully forming a fan towards the base of their tail. Actions taken by breeders can affect the dog’s health. Good breeders focus on a healthy bloodline. The coat color of an English Cream Golden Retriever doesn’t determine its health. Focusing on certain colors can reduce the breed’s gene pool or cause genetic health problems. The health of the parents can also affect the health of the puppies. As such, blood and physical tests should be done before breeding. Some of the most common health problems in English Cream Golden Retrievers are eye conditions, heart diseases, and hip dysplasia. Their ears should be checked regularly to prevent infections. Golden Retrievers should undergo an advanced cardiac test and congenital cardiac test. They should also be evaluated for elbow and hip dysplasia. Golden Retrievers should be assessed by an ophthalmologist as well. This breed is susceptible to cancers such as lymphosarcoma and hemangiosarcoma. The Golden Retriever Club of America estimates that around 60 percent of Golden Retrievers will die due to cancer. 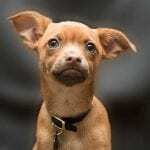 A 2013 study revealed that late or early neutering of this breed could increase its risk for diseases, including cancer. According to studies, neutering dogs early can affect developing gonadal hormones. 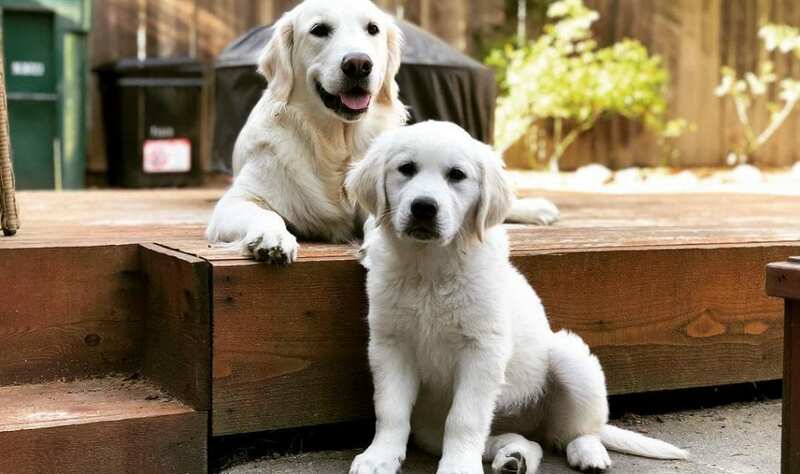 Before purchasing English Cream Golden Retriever puppies, you should research the parents’ health or get them examined first to see if they’re cancer-free. 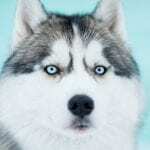 There’s no evidence proving that cancer and coat color are correlated, so the cream color isn’t predictive or a telltale sign of cancer rates in this breed. English Cream Golden Retrievers are energetic and active dogs. They do well with regular training. These dogs are intelligent and have an eager-to-please mentality, so they’re easy to train. You can give treats, but do it in moderation. English Cream Golden Retrievers should be exercised at least 2 hours every day. Walks, swimming, hunting trips, fetching and bike rides are excellent forms of exercise for your dog. Ask a vet about the activities that could hurt the dog’s bones and joints. If you want to establish a strong bond with your English Cream Golden Retriever puppy, you should consider obedience training. It is best to let your dog socialize with other pets and people at a young age. The cost of English Cream Golden Retrievers or any Golden Retriever can range from $500 to $2,500. It depends on the breeder’s reputation, location and whether the pup descends from champion lines. A healthy puppy from a trustworthy breeder may cost between $1,500 and $2,500. Pups descending from champion lines will be more expensive. If you go to a pet store, the price range can be from $500 to $1000. The cost depends on how well the pup has been bred and how trustworthy the pet store is. If you adopt an English Cream Golden Retriever with no lineage documents or health clearances, you may pay about $500 or less. If you’re being charged more than this range, you should turn away and look for another source because that’s a rip-off. The breeder should prioritize the dog’s health. 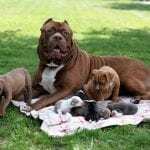 A reputable breeder will have extensive health records and ensure that the dog receives all the vaccinations, medical screenings, and nutrition it needs. He will also want to communicate with you. A good breeder will care more about securing a good home for the dog. He should also have ample knowledge about English Cream Golden Retrievers and the ancestry of their litter. He should have plenty of information about the pup’s parents and answer your questions correctly. Look for testimonials about the breeder. Ask for recommendations from your friends. The Kennel Club of the United Kingdom accepts a Golden Retriever that’s any shade of cream or gold. The Golden Retriever Club of Canada is the same as well. According to them, the acceptable range of color in Golden Retrievers is broad. The coat color can be a darker coppery gold or cream. Medium gold, on the other hand, is always correct. The club says that specimens should be judged equally as long as they’re within the color range. The American Kennel Club, however, is a different story. According to them, the Golden Retriever’s standard coat color is a rich, lustrous golden of varying shade. They view the predominant body color that is exceptionally dark or pale as undesirable. The club says that some leeway should be given to light puppies whose coloring shows a possibility of deepening with maturity. Adopting a dog from an English Cream Golden Retriever rescue or shelter can be one of the best decisions you will make, especially when you are living alone or lonely. When you adopt a dog, you are saving a life. You will improve the dog’s quality of life. Adoption agencies have lots of pets, so you will have plenty of options to pick. You can choose your dog by age, size or gender. This way, you can select the dog that matches your personality. By adopting a dog from a rescue or shelter, you will have peace of mind knowing that you’re getting a healthy dog. Adoption agencies always neuter and spay their pets. They also ensure that the pets are vaccinated on a regular basis. You don’t need to worry about your pet’s health. The dog will arrive at your house healthy. Another benefit of adopting a dog is the fact that you can save money. Most of the time, people purchase a pet from pet stores where the pups are not regularly vaccinated and washed. If you get a dog from an English Cream Golden Retriever rescue or shelter, you will get a pet that has been vaccinated and appropriately nurtured. This can help you save much money as you don’t need to worry about their vaccination. When you adopt a dog, you are not supporting puppy mills. Ads of dogs being sold are usually puppy mills. They collect one hundred dogs at a time and sell these pets for their gain. This is an atrocious act that harms the health of the dogs. That is why adopting a dog from an English Cream Golden Retriever rescue or shelter will help you protest against puppy mills by not supporting them. You know that fuzzy feeling of seeing a kitten or puppy at play. 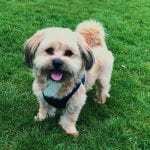 Do you feel a tug at your heartstrings when you read the stories of pets needing a new home? Perhaps you have always wanted to have a pet at home. Maybe your kids have been asking you for a puppy for some time now. If you’re thinking of getting a new home, you should consider adopting instead of buying. Every year, almost 5 million cats and dogs are euthanized because there aren’t enough homes. There are many pets in need of new homes. These pets are available through rescue groups, animal shelters, and human societies. Here are some tips on how to adapt and live with your new English Cream Golden Retriever. Different breeds of dogs have different needs and personalities, so you should learn more about the breeds you’re interested in to find the best one for your family. Most breeds also shed, so you should look for one that sheds the least if you or one of your family members has allergies. English Cream Golden Retrievers are friendly, loyal, enthusiastic and playful, so they are great family dogs. They’re also calm so that you can bring them to hunting trips. This breed, however, doesn’t suit those with allergies as it sheds a lot. Other than this, an English Cream Golden Retriever is a good option for those who want to adopt a pet. Dogs have to know the basic commands of no, come, stay and sit. Puppies need to be housebroken as well. Remember that no dog is perfect. You can enroll your dog in community dog obedience classes or get a professional trainer to train your pet. 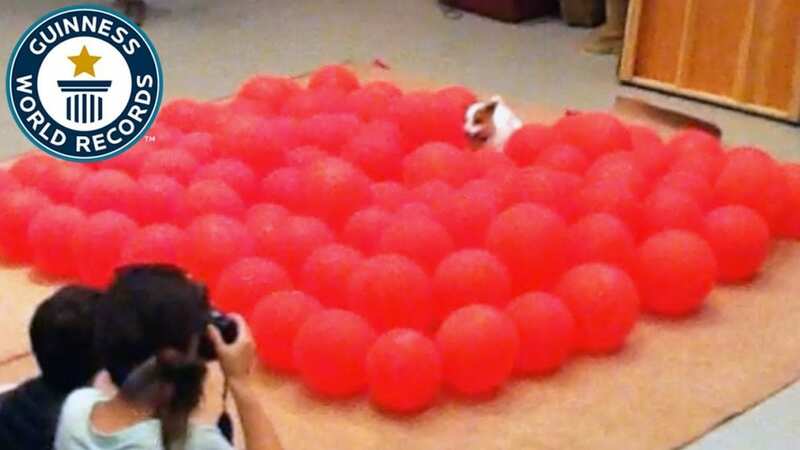 Another option is to train the dog yourself. This will also help you learn more about your dog. 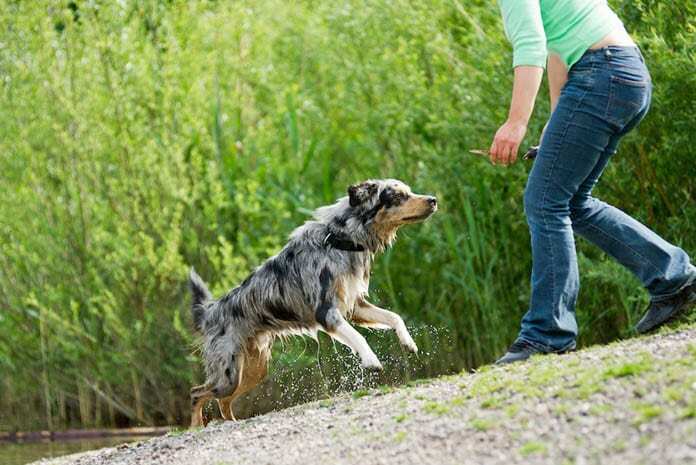 Training helps your new dog bond with you and ensures their safety as well. Train your pet with care. Cruelty and harshness make pets fearful. It is also inhumane. If you train your dog lovingly, you will develop a closer bond with it. Keep in mind that dogs require food and vaccinations. They can also develop medical conditions due to accidents or genetics. Medication costs can pile up and cause a strain to your finances. You may get pet insurance to cover their medical bills, but getting one costs money as well. So, consider your finances before getting a pet. Pets are sometimes given as gifts, but you should think twice before giving one. This is because your lifestyle may be different from the person you are thinking of gifting a pet. That person may be too busy to take care of a dog or don’t want a pet. Please don’t give a pet to a child and expect him to take care of the pet. You will be the one to take care of it in the end. However, if you are okay with it, you should consider adopting an English Cream Golden Retriever as a family pet. It would be best if you considered your lifestyle before adopting a dog. Are you too busy to take care of a pet? Dogs need many exercises, so you may want to consider this factor before adopting a pet. Do you have children or other pets at home? If you already have pets and you want to add another, you have to give them a chance to meet the potential addition to them on neutral ground. This will help you determine if they will get along. Most animal shelters have visiting rooms where you can bring your existing pets to meet the meet the potential addition to your household. You should also be prepared for minor fights and jealousy as your pets become familiar with each other and their place in the pack. This can take a few weeks or months. Adopting a dog is a great experience. Having a dog makes your home cozier. Pets love their human unconditionally, so you should also give them a lot of love and care. Don’t choose an English Cream Golden Retriever based on the coat color. You also have to consider other factors like health, structure, and temperament. Avoid breeders who breed for white coats, platinum or cream as their primary goal. The health of dogs that are bred for such purpose is compromised as the breeder only cares about money and looks. When choosing an English Cream Golden Retriever, you should look for a breeder who breeds for good temperament and health. They should have great lines as well. Avoid breeders who make false claims to lure buyers. Once you’ve brought your English Cream Golden Retriever home, make sure to take good care of him. You are now his family, so you have to provide him with enough food and care. Proper grooming is essential as well. English Cream Golden Retrievers often shed, so they should be groomed every week. Brushing their coat can help prevent mats and tangles. If you want to give them treats, give it to them in moderation. You don’t want them to be obese. Don’t forget to exercise your dog as well. You can take him out for a walk or jog.